He’s really good (at maths) – and so are you! Practise counting in Arlo’s dinosaur world. OK: maybe you’ve heard that dinos weren’t very smart. But Arlo is different. He’s clever – and he’s a great friend. 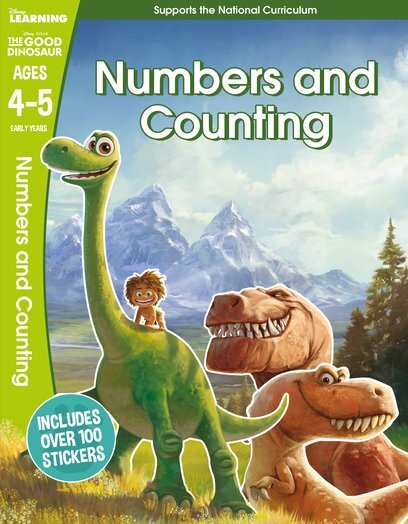 Learning maths with Arlo is nothing like doing it in school. It’s got racing dinos, triceratop footprints and dino eggs to count! There are stickers and ‘Let’s Read’ story pages filled with colour pictures. You get to build a Dinosaur World and stomp around in homemade dino feet. There’s even a board game to play and a checklist to tick off your new skills. There you go. We told you it was good.